Frequently Asked Questions – G.R.A.C.E. It seems to vary from dog to dog. Some will shed an appreciable amount, others hardly at all. “Appreciable” means that when you use a curry comb, you can get loose hair off the dog. There is some thought (and anecdotal evidence) that lighter colored Greyhounds shed more than dark ones do! However, bear in mind that even a so-called “heavily shedding” Greyhound would shed a lot less than say, a Dalmatian or a Labrador. Don’t Greyhounds need a lot of exercise? They need less exercise than you would think. Greyhounds are primarily a sprinting breed, rather than endurance one. They are NOT a high energy breed. They are happy with being walked and short run each week. They will lie happily on your couch all the rest of the time! What are the differences between track (NGA) and show (AKC) Greyhounds? In general, track Greyhounds are a little smaller (shorter and less heavy) than the show ones. Track Greyhounds are more heavily muscled in the rear and their necks and heads are not as slender or exaggerated as show Greyhounds’ are. Those are the physical differences. 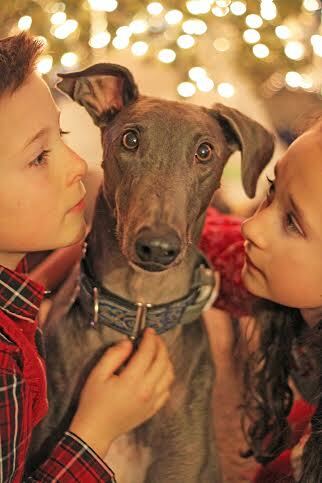 Why do I see many people muzzling their Greyhounds at get-togethers? Their racing instinct is based on a well-developed prey drive. When you have a group of greyhounds together, especially strange ones, it is advisable to muzzle them to prevent accidental bites. Greyhounds are not dog aggressive, but when excited may nip at others. Don’t let the muzzles lull you into a false sense of security. 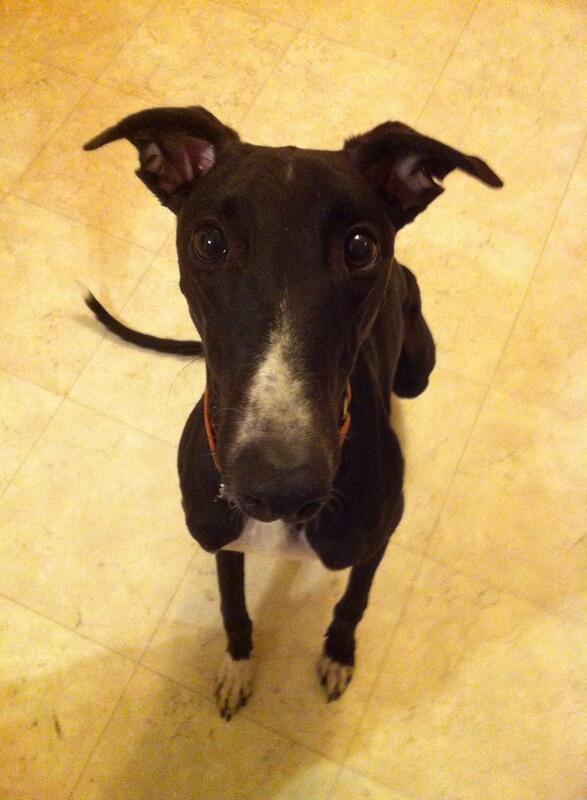 You must still monitor a group of muzzled Greyhounds since it’s possible to catch ears through a muzzle and so on. Do note that muzzling is not always required; it’s simply a sensible precaution if you are dealing with a large group of Greyhounds. Many people believe that because of their structure and low body fat that they cannot swim. This is untrue. Some Greyhounds are excellent swimmers and others are not. 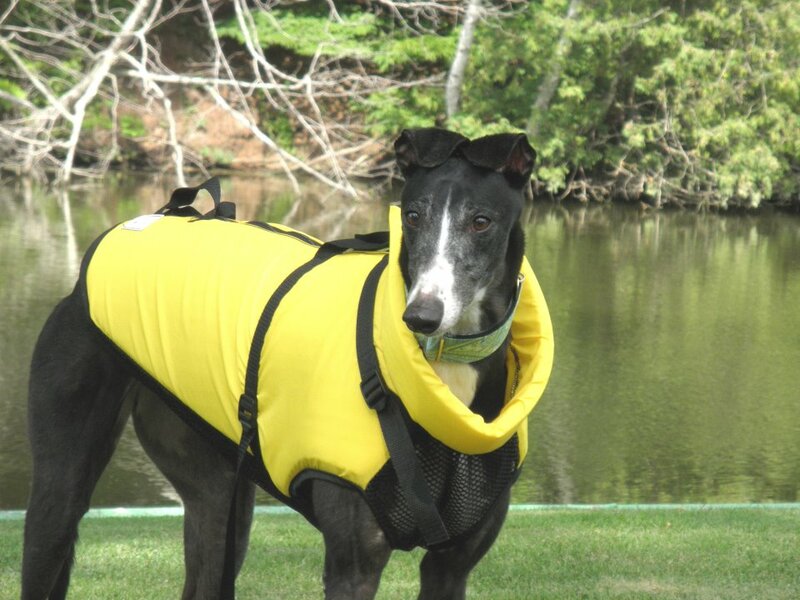 Supervise your Greyhound’s entry into water until you are certain he can swim. Yes! 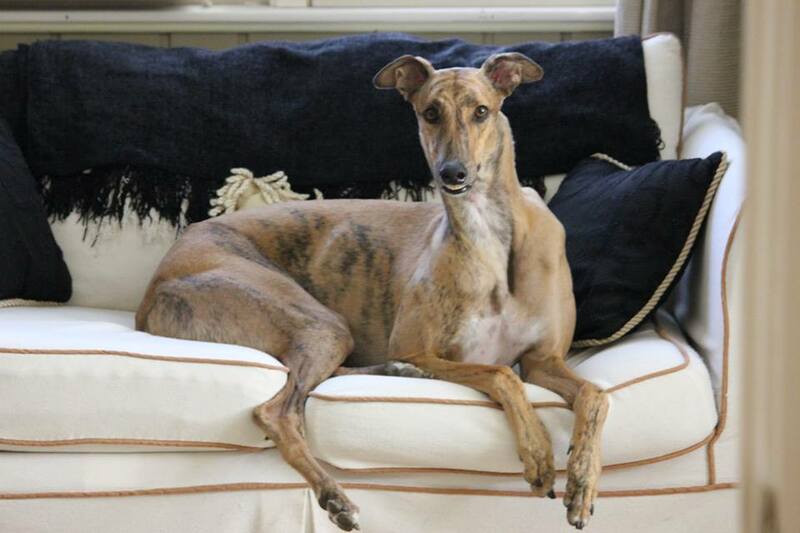 It is a common misconception that Greyhounds can’t sit when in fact they can. However, while other dogs are able to ‘sit’ on the ground a Greyhound will have some clearance between the ground and their bottom.